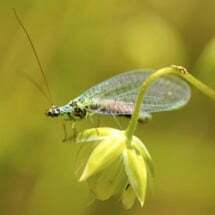 Aphidius colemani – Aphid Parasites are tiny, parasitic wasps that lay their eggs inside aphids causing them to mummify and die. 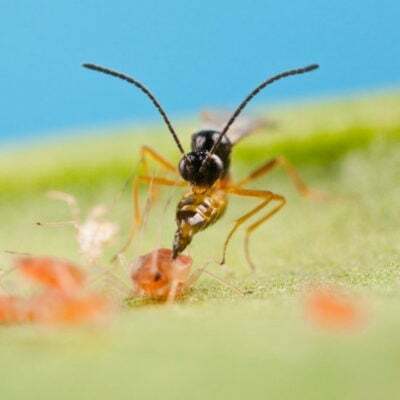 New parasites soon emerge through a hole at the rear of the “mummy” and begin searching for healthy aphids to attack. They are shipped as “mummies” mixed with wood chips, from which the adult parasitic wasps soon emerge. 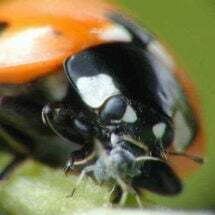 Most effective when aphid infestations are beginning. 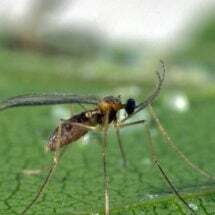 A. colemani adults are black, while other stages are not seen as they develop inside the parasitized aphid. 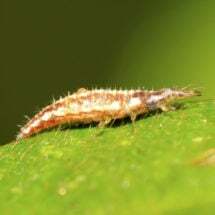 The parasitized aphid swells and hardens into a leathery, grey or brown colored mummy. The adult emerges through a hole in the rear of the mummy. The first mummies can be seen about 2 weeks after introduction. To apply, spread on soil or in area of infestation. Efficacy is reduced at high temperatures (greater than 80 F). Parasites can be stored after receipt for about 1 – 2 days, between 47 – 50 F and in the dark. DO NOT FREEZE. Each 250 cc shaker bottle of 1000 parasites (Aphipar) will treat 3600 – 7200 square feet, depending on pest levels. Repeat weekly for 2-3 weeks. Instructions for care and release are provided with each order.